Homemade Spaghetti Sauce with Garden Fresh Tomatoes! It's that time of year: when all your tomatoes are turning red at once! As many sandwiches and salads as I eat, I can't begin to keep up with the number of tomatoes turning red. I surely do not want to waste them, so I must come up with a solution. A delicious solution for all my vine ripened tomatoes. Thus, the homemade spaghetti sauce! But enough chatter! Let's get to the sauce making! After you have picked your tomatoes from the garden, be sure to rinse them off. We don't want any dirt in our tasty sauce. Then chop off any greens still attached and toss them. Dice remaining tomatoes into about 1"-2" pieces. They can be fairly large pieces for this step. 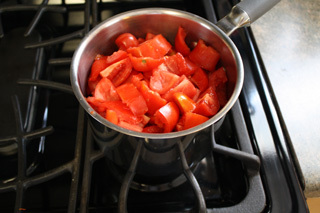 In fact, you could leave them whole and just boil them longer if you desire to skip the cutting. Pour the diced tomatoes, salt, and water into a 2-qt sauce pan. Boil for about 5 minutes or until softened. Put the tomatoes into a blender and set to a high setting until completely mixed. 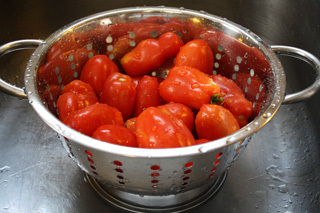 Pour tomato mixture through a wire strainer into a large bowl. Use a spoon to help push the tomato juices through the strainer. Discard any seeds and skins that don't go through the strainer. Now for the fun part! 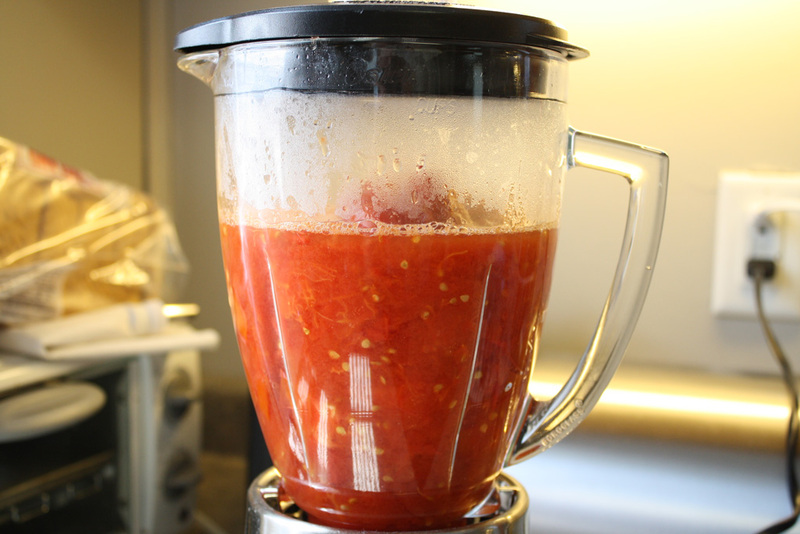 You have the base for your tomato sauce. All you need to do now is put the sauce back into the 2-qt sauce pan. Add the Italian seasoning, onion powder, garlic, and tomato paste. Bring to a boil and let simmer for 8-10 minutes. 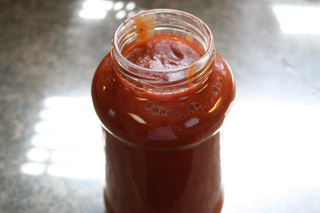 Pour your sauce into a glass container for storage or use right away! I rinsed out and used an old spaghetti sauce container that I had laying around. It works great! Note: Write the date on lid (or on a sticky note) and use the sauce within 5 days. Otherwise, you can freeze it for later. 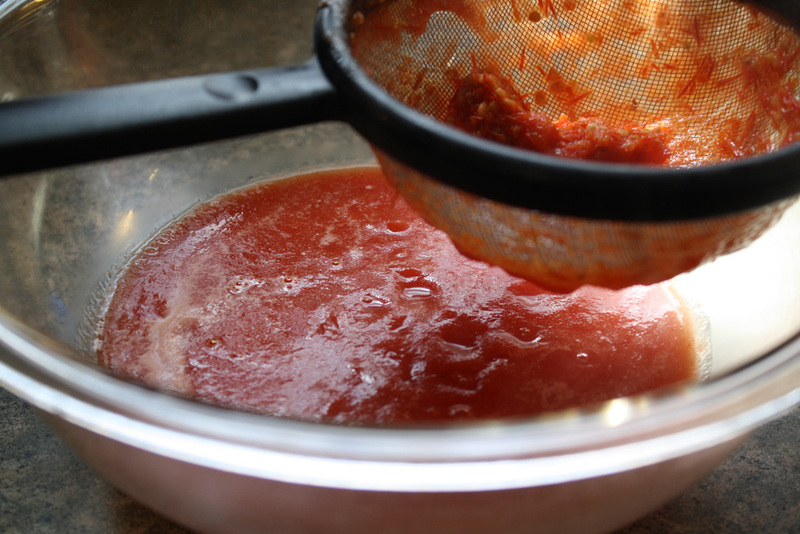 This incredible tomato sauce (aka "spaghetti" sauce) is well worth the effort! 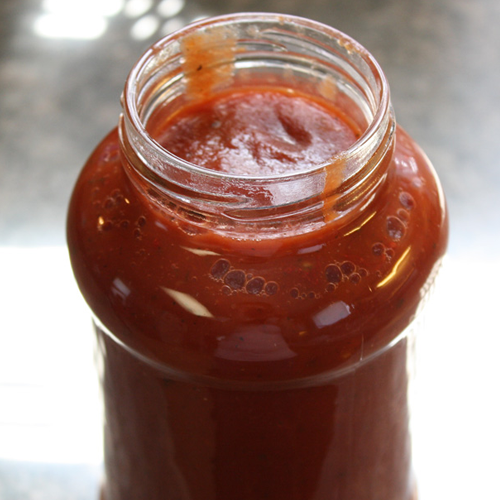 It is so much better than any premade sauce! 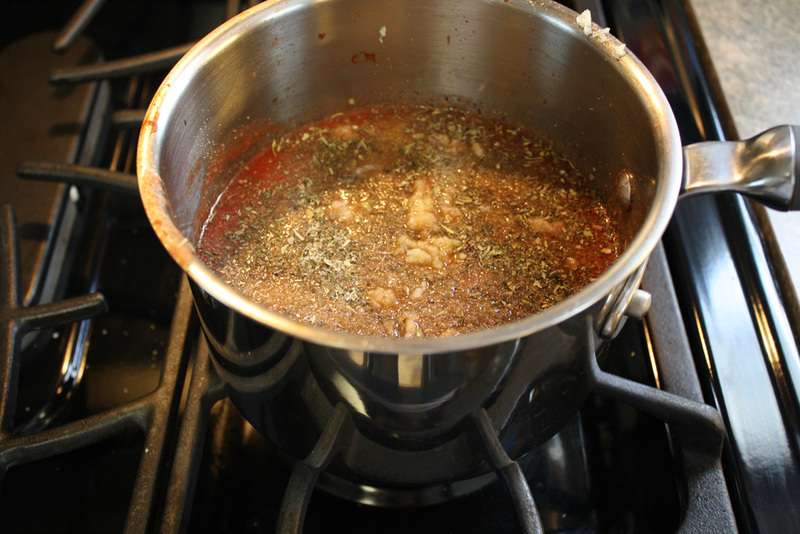 Suggestion: When you're ready to use the sauce, consider adding some boiled diced tomatoes for a chunkier sauce or some sauteed onions, cooked ground beef, and / or cheeses for extra flavor!